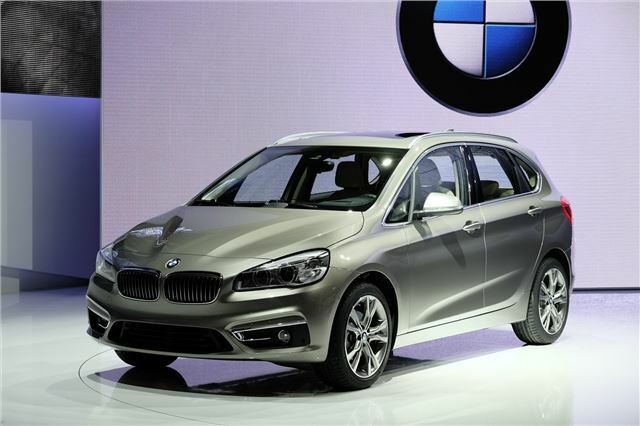 The BMW 2 Series Active Tourer has made its first public appearance in production form at Geneva. The eagerly-anticipated new model will be BMW’s first ever MPV and also its first model with front-wheel drive, while the engines are shared with the new MINI. Visually the new 2 Series Active Tourer is similar to the Ford B-MAX, with sweptback headlights and an angular rear. It is based on the new MINI and is marginally longer than the BMW 1 Series.